A floating hearth is a solution for a fireplace that has no built-in hearth or for homes that have limited wall space beneath the fireplace. This type of hearth typically takes the form of a wall-mounted shelf positioned below the fireplace that can be used for decoration or the storage of fireplace tools. You may adjust the size and shape of the hearth to meet your particular needs and, once installed, you can embellish the hearth to match the existing decor in your room. Build a floating hearth to add some interest to your plain fireplace. 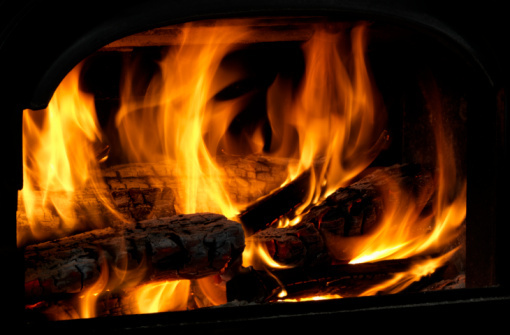 Measure the length of your fireplace using a measuring tape and decide whether you want the hearth to be equal in length or longer than the fireplace. Build your hearth to a height of approximately six inches. 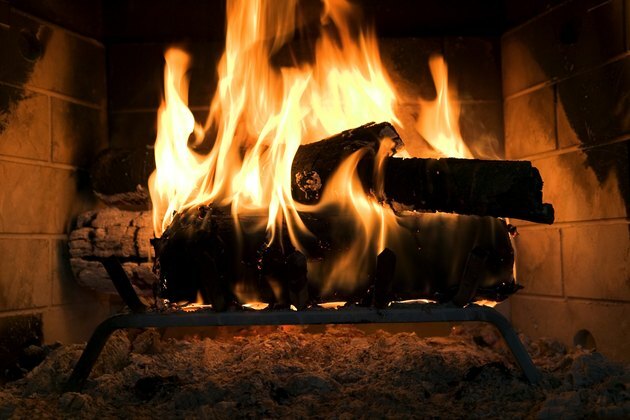 Cut a hardwood 2-by-4 to the desired length of your floating hearth, minus two inches, using a circular saw to form the breastplate to attach your hearth to the wall. Use a stud finder to locate the studs in the wall around your fireplace. Mark the position of the studs lightly on the wall in pencil. Hold the breastplate up so its widest edge is flush with the wall under the fireplace. Center the breastplate beneath the fireplace so there is approximately 1 1/4 inches between the top of the breastplate and the bottom of the fireplace. Secure the breastplate by driving 3-inch wood screws through it into the wall studs. Cut three 1-by-8-inch hardwood boards to the length of your hearth using the circular saw. Two of these boards will be the top and bottom panels for your hearth frame. Trim the third board to a width of 6 inches for the front panel. Cut two more 1-by-8-inch hardwood boards to a length of 8 inches for the side panels. Stand the top and bottom panels upright on their longest narrow edges. Slide the two side panels between the ends of the top and bottom panels to create a rectangular shape. Drive nails from a nail gun through the top and bottom panels into the side panels to complete the frame. Lay the 1-by-6-inch piece of hardwood on top of one open end of the frame and align the edges. Drive nails from the nail gun through the front panel into the thickness of the top, bottom and side panels to attach it securely. Fit the open side of the hearth frame over the breastplate on the wall. The opening in the hearth frame should be just large enough that it fits snugly around the breastplate. Drive 2-inch wood screws through the top, bottom and sides of the hearth frame into the breastplate to secure it in place. Fill the screw holes in the hearth frame with wood filler. Allow the filler to dry completely then sand the surface of the wood smooth using fine-grain sandpaper. Paint or stain your completed hearth frame to match the existing decor in your room. For continuity, you may choose to match the hearth with your fireplace mantle, if you have one.